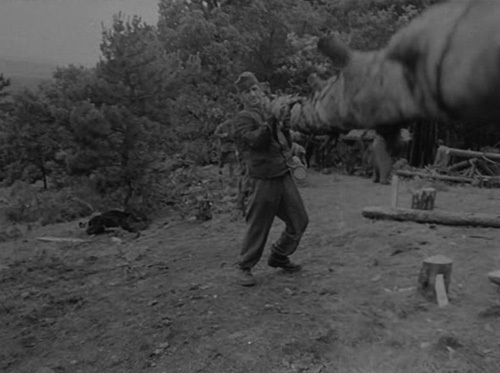 I have been meaning to watch Két Félidő A Pokolban (AKA Two Half-Times In Hell) for ages – years even – since first hearing about it. A Hungarian film made in the early 1960s, it’s set during the war at a labour camp in the Ukraine, where to celebrate Hitler’s birthday the local German authorities have decided to have a football match between their own Wehrmacht team and one made up of eleven Magyar malcontents (and refereed by an injured Italian – a grinding of axis, if you will). To be honest, I’m not sure that makes a whole lot of sense, but by Jove it’s gripping stuff. Ónódi (Imre Sinkovits), a quick-tempered, apolitical ex-pro footballer, is tasked with putting together the prisoners’ team in exchange for extra rations and a break from the work regime. But he must draw his players from a camp full of men more concerned with survival, hunger and escape than the Beautiful Game; amongst his eleven are a Jew who has never played before, a committed communist, and a pair of surly brothers. Over time, as the stakes are raiser higher, Ónódi comes to realise there is more than just ninety minutes of pigskin-hoofing to play for. Yes, you can see where Escape To Victory and The Longest Yard/The Mean Machine got their ideas from. 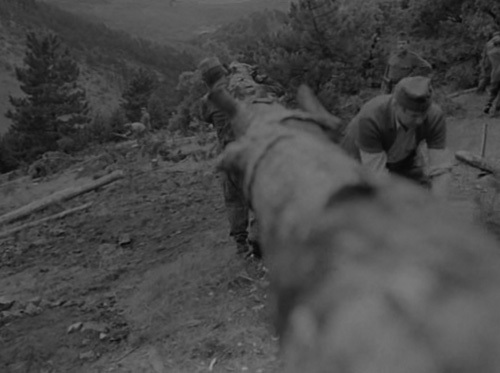 Anyway, there’s some great direction from Zoltán Fábri, which lifts it above mere Soviet propaganda; these point-of-view proto-steadicam shots of carrying a log, for example. A jumper from The Other Guys. Aerial reconnaissance from disavowed CIA black ops team drama The Losers. 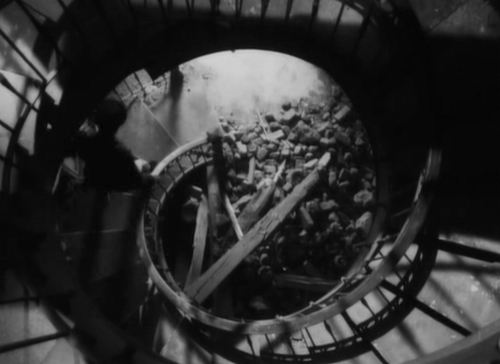 No two-bit noir movie is complete without a down-the-stairwell shot, and The Good German is no exception. No two-bit thriller is complete without a down-the-stairwell shot, and The Killing Gene, AKA W∆Z, is no exception. Shameless bit of sledgehammer symbolism (and gratuitous buffness) from behind-Nazi-lines action adventure Les Femmes De L’Ombre AKA Female Agents. Sweeping crane shot to the end of silly-but-enjoyable medical thriller Extreme Measures.